microbes.me is about microbes and you. It’s a discussion, exploration, investigation and chat about how microbes affect us, what scientists are doing to understand their relation to us and how microbes can be used by us. Let’s face it. Us humans are not very common on this planet. There are 7 billion of us (and counting). But that is not really very much. Just considering the bacteria in the human gut there are about 2,000,000,000,000,000 cells in each and everyone of us. Worldwide, that makes 14,000,000,000,000,000,000,000,000 gut bacteria. We still have to talk about the bacteria in our ears, on our skin, up our noses… you get the picture. They are everywhere. It’s time they had a blog dedicated to unpicking the science, explaining what is being discovered and what it ultimately means for each and everyone of us. 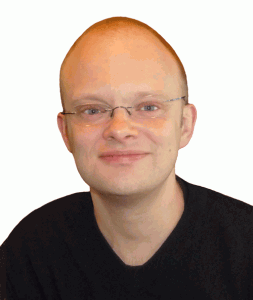 I’m Max Bingham, a freelance scientific writer and editor. I help scientists with writing and editing, academic book production and science communications. I have a PhD in microbiology, nutrition and health from the University of Reading in the UK and I have worked for over 10 years as a research scientist in the same area. I have published numerous papers and done everything a scientist is expected to do. I decided last year (for various reasons) that it was time to chase a dream and see what the world of freelancing as a science writer is like. One year on and you find me still at it. What are you doing blogging and writing about microbes? Keeping up with the science is critical to being a science writer (that hopefully makes some sense) and this blog is my channel of choice for doing just that whilst developing style and content. I hope to be able to write in a constructive, understandable and interesting style about a topic I have experience with as a scientist. Academic writing (i.e. producing scientific papers) has a particular style which is designed to report findings and discoveries to other scientists. Unfortunately this is not always digestible by anyone else. Writing for a broader audience is different and microbes.me will be my attempt to hit the sweet spot of interesting, understandable, relevant and timely when it comes new research about microbes and humans. It will be a mix of commentary, opinion and analysis as I see it from my point of view. I’m not going to cover everything, just the bits that make a good story or have an interesting aspect. I also hope to be able to get right into the thick of it at conferences and hopefully get direct interviews with the major scientists in the area. We’ll see how that turns out. Comment on a post, tweet (@maxbingham), contact directly or email (info@microbes.me). Oh yes, if you want to find out more about me go here: maxbingham.com and there are plenty of other ways there to get in touch. Looking forward to hearing from you! I will update these details when I get the chance, because I’m off to jump straight into posting a few articles.